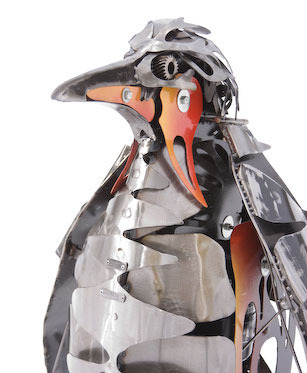 Wilson was created to create awareness of the fact that more than half of the world's penguins are in danger of extinction. He is on permanent display at the Point Reyes Bird Observatory in Petaluma, CA. To learn more about seabirds in danger, see the Center for Biological Diversity.